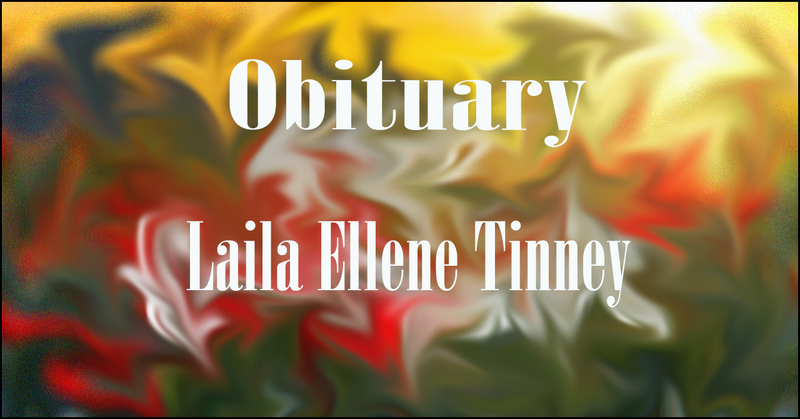 Laila Ellene Tinney, 43, of Hanceville passed away on Tuesday, August 23, 2016. The Tinney family will receive friends on Thursday, August 25 from 11 a.m. to 1 p.m. at Hanceville Funeral Home; with a private service to follow. She is survived by her mother, Retha Sproull Tinney; daughter, Cameron Elise Tinney; fiancé, Jeremy Bice; brother, Brad (Sloan) Tinney and aunt, Letha Sproull Heatherly. Laila was preceded in death by her father, Howard P. Tinney.